If you've been waiting for a smaller version of the Xbox One, your wait is almost over. It wasn't the best kept secret. But, the new Xbox One S was revealed at E3 this week. The 2 TB Version will ship out at the end of August. The 1 TB and 500 GB versions will not ship out till the end of December. 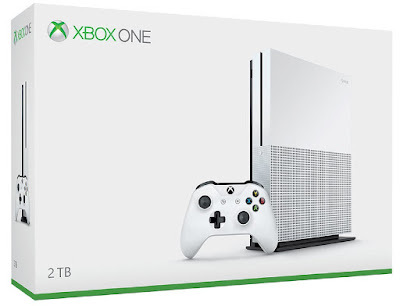 However, all Xbox One S versions are available for pre order right now. The Xbox One S does feature a new controller and the ability to stream and play movies in 4K. So, starting at $299 is not a bad price at all. I have a feeling these are going to sell out in short time.